Unown is an interesting Pokemon. There are 28 different versions of the Pokemon. 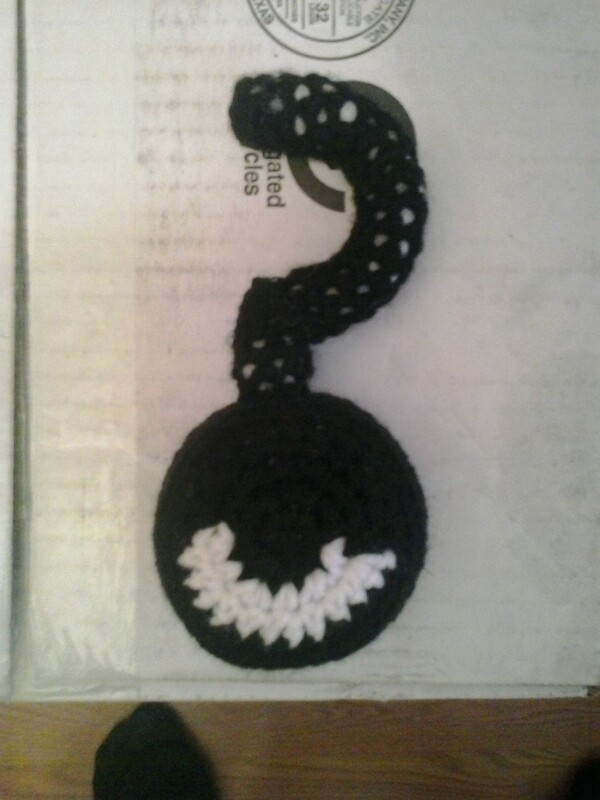 I created Unown A back in 2011 with the intention of working on the others sooner than 2017. Here is Unown ?. Unown ? will mean that I have 11 out of the 28 Unowns are done. I have included the color list for both Unown ? and Shiny Unown ?. Finish off leaving a long tail. Stuff CURVED LEG firmly. Insert piece of floral wire. Weave tail through sc of Rd 18, pull tightly and secure. Finish off leaving a long tail. Stuff STRAIGHT LEG firmly. Sew closed end of STRAIGHT LEG to EYE. Sew open end of STRAIGHT END to CURVED LEG. Unown A, Unown ?, Shiny Unown ? and Pokemon are copyright Nintendo and their respective creators. This pattern is an original pattern and is © by Christjan Bee (October 2017). Please do not claim this pattern as your own. If you wish to share this pattern, you may link to this pattern but please do not reprint it on your site. You may keep a copy for your own personal use but you may not sell or distribute it, or sell items made from this pattern.